With the ability to find information with just a click of a button, it’s hard not to keep up in today’s digital age. Just type the keyword on Google and you’ll gain access to millions of pages about the topic. There’s no need for you to visit the library and search for its database to find the book you’re looking for using the Dewey-Decimal System. However, as crazy as it sounds, only a number of people put the information available online to good use. 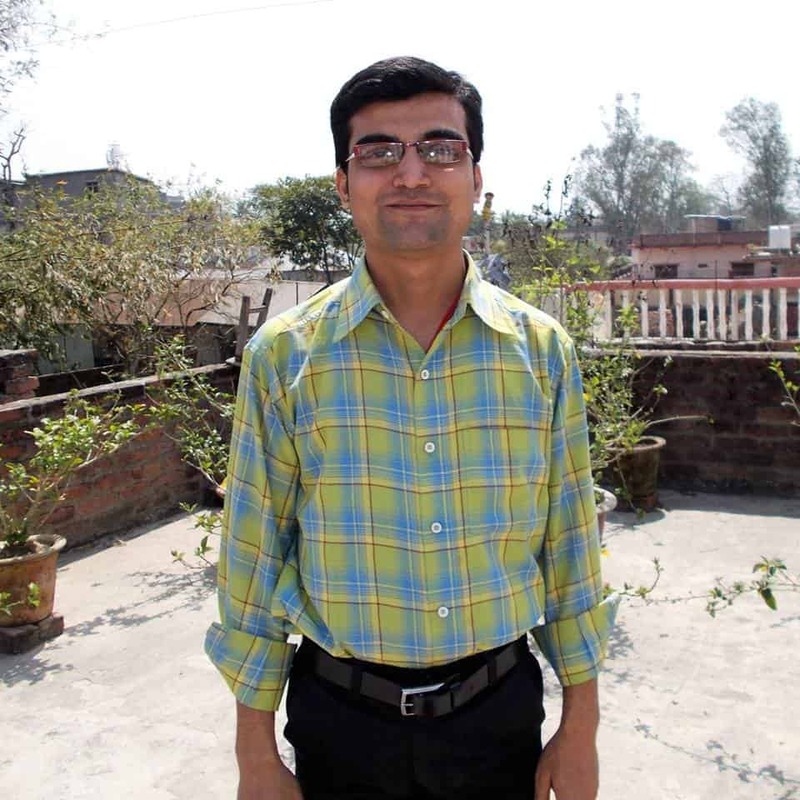 While others are busy watching cat videos and posting spicy memes, Vishwajeet Kumar is hustling to make a mark online as a blogger. After graduating two years ago, Vishwajeet is already making a sizable amount of money from his blogging journey. With age and savvy in his corner, the sky is the limit with what else he can achieve! 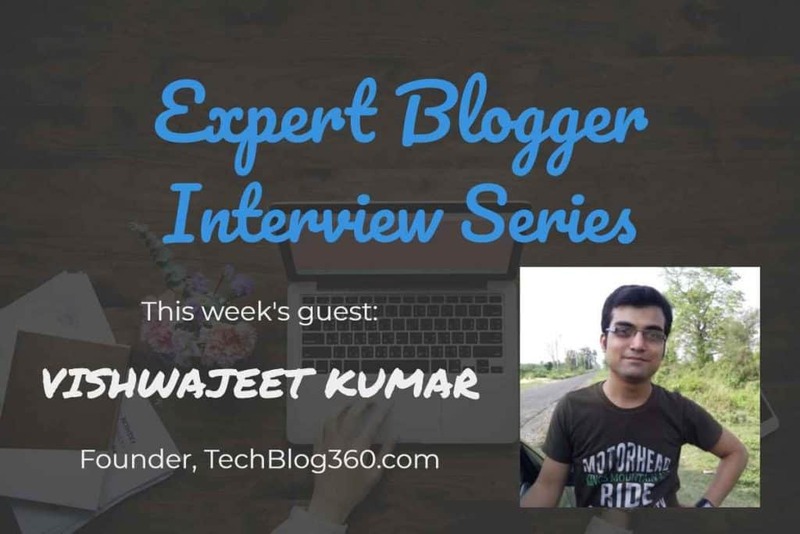 I had the opportunity to chat with Vishwajeet to pick his brain and learn more about his experiences as a blogger so far. When I was in school, I was very addicted to computer and the internet. I always want to learn about it. My elder brother has taught me everything about the internet and how it works. When I was in high school, I started working online with few small freelance works like content writing in the beginner level. I practiced a lot to write more professionally. When I was in college, blogging became my passion and I have chosen to blog as my full-time career after graduating in 2016. I was doing freelance writing and doing various script installations like WordPress, Joomla, Prestashop, Opencart, etc. for clients. When I first started blogging, a big challenge for me is to drive traffic to my blog. Since at that time I don’t have enough social media connections and also don’t much about how to drive traffic. The only way for me to drive traffic is to make my blog more SEO-friendly and rank better in Google. Later, I am able to manage the things and start driving a good amount of traffic to my blog. Sorry, But I don’t have any situation like this in my freelance and blogging journey. 5. How much were you earning as a blogger before starting out and how much are you earning now? What do you think caused the change in your blogging income? Check out Vishwajeet’s blog, WMBlogie. I still remember the day when I have made $300 by promoting web hosting affiliate program in the initial days of my blogging. Since my blog is still growing, I am able to manage $1000+ from my blog. 6. What were your sources of income as a blogger and how were you able to grow it over time? At first, I have tried PPC programs like AdSense but did not able to make most out it. From the starting of my blogging career, I have chosen affiliate marketing. It is the best way to make money online from your blog. To become a successful affiliate marketer you have to choose the right product. Write a killer review page about the product. Make sure you have tried the product yourself as it will help you to write a thorough review page. This is the way I have scaled up my affiliate income. 7. Which blog post you have written that you feel the proudest? I know how painful it is when you want to start a blog and you don’t know much about it. You don’t have any tutorial. For this, I have created a detailed post on how to start a blog. I think it one of my best and proudest blog post. 8. Who among your blogging peers do you consider the best and why? There are many of them. But for me, Ryan Biddulph is the best. He is very helpful and open-minded. He helps me a lot and also motivates me a lot. I really like the way he works and helps other bloggers. He always inspires me a lot. 9. What do you think separates yourself from other good bloggers out there? Unlike other bloggers, I am also very helpful and always try to help others in the best way. I love to help my readers by providing quality and helpful content. If anyone needs help from me, I am always ready to help them. Blogging is all about helping others. If you don’t do so, then you don’t become a successful blogger. 10. List down the blogging tools that you use and explain why people should use them for their own blogs. If you are serious about blogging then I highly recommend you that you must use these tools to make most out of your blog. Yoast SEO plugin for best SEO. Grammarly (affiliate) for proofreading your content. Make your content error free. MyThemeShop for best and quality WordPress theme. Social warfare plugin (affiliate) to share your content. 11. How “successful” would you consider your blog? I am really happy with my blog and satisfied with its performance and development. However, I think it will take some more time and there are more steps to further grow my blog. You always have to work on your blog and keep up your consistency. Change is a law of nature. Blogging evolves a lot in recent years. People try new things and strategies to make their blog more informative and user-friendly. However, Video blogging has now become a trend in blogging. People tend to watch videos to find their answers in a more illustrative way. You constantly have to work on new strategies and trends to find out which works great for your blog. 13. If there’s an advice that you would say to a starting blogger, what would it be? 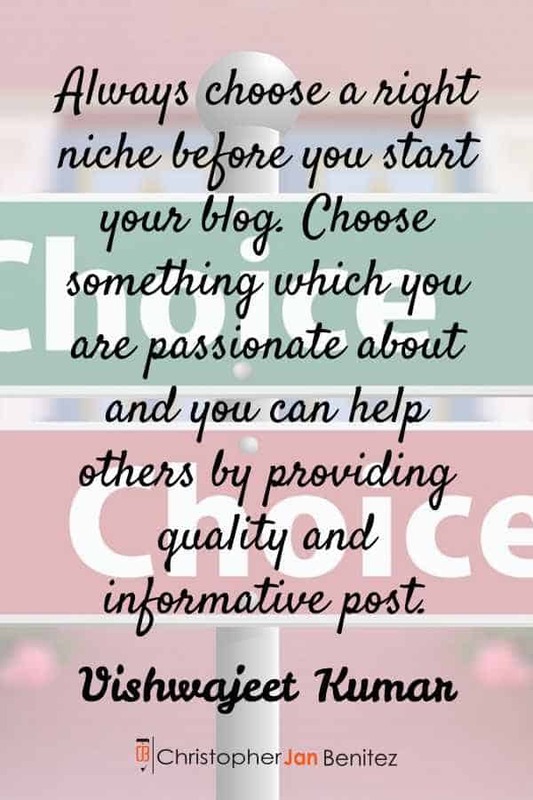 Always choose a right niche before you start your blog. Choose something which you are passionate about and you can help others by providing quality and informative post.